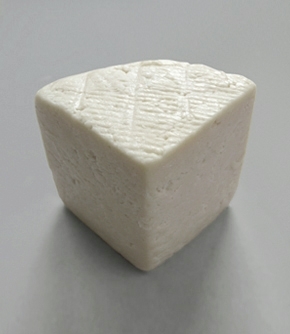 Chihuahua is a soft, fresh cheese that is delicious melted. Made by Gringa Dairy, an artisan dairy making authentic Mexican style cheese in a railway arch in Peckham, South East London. They use organic milk from a farm in Kent that is collected in the morning and transformed into really delicious cheese the very same day. Melt in a clay cazuela in the oven for queso fundido to serve with warmed corn tortillas or use in enchiladas suizas, quesadillas or grilled cheese sandwiches. PLEASE NOTE: Queso Chihuahua is a short shelf life product, but will have a minimum of 5 days on receipt. This product will be shipped with an ice blade (this is why the gross weight is higher than the product weight) to ensure freshness on arrival and can therefore only be shipped to UK mainland customers. Orders will only be sent to areas where parcels are delivered within 24 hours. Please see ordering and delivery for the days we post out fresh goods. 13 &nbsp;x 15cm&nbsp;white corn tortillas, essential for making large tacos, quesadillas, enchiladas or mopping up sauces and when a little older fry for tostadas, totopos, flautas and crispy tacos.These 15cm size tortillas are perfect for large tacos or quesadillas or to serve at the table&nbsp;in a tortillero as an accompaniment to a meal. Good for Baja style fish tacos or steak tacos.We make corn tortillas to order, please check our delivery section for more information (including shelf life) as to when you can expect delivery.Please note our tortillas are preservative free and must be refrigerated on receipt. Tortillas must be served warm, see reheat instructions below.1p from every Baker's Dozen bought goes to Action Against Hunger. Made with naturally blue corn, our 15cm corn tortillas are an essential for making large tacos, quesadillas, enchiladas or mopping up sauces&nbsp;and when a little older fry for tostadas, totopos, flautas and crispy tacos.These 15cm size tortillas are perfect for large tacos or quesadillas or to serve at the table&nbsp;in a tortillero as an accompaniment to a meal. Good for Baja style fish tacos or steak tacos.We make corn tortillas to order, please check our delivery section for more information (including shelf life) as to when you can expect delivery.Please note our tortillas are preservative free and must be refrigerated on receipt. Tortillas must be served warm, see reheat instructions below.1p from every Baker's Dozen bought goes to Action Against Hunger.